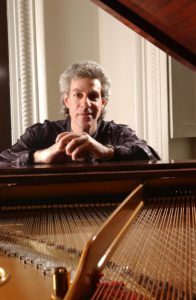 To describe Joseph Diamond merely as a pianist, composer, and producer is to present an image that is far too narrow. It’s true that his pianistic abilities run into the virtuosic range, which is not surprising given his jazz and classical pedigree: daily childhood studies with his mother, jazz explorations in high school with George Handy, trial-by-fire in the University of Miami music department, and further college study with jazz icons such as Jackie McLean, Nat Reeves, and James Williams, as well as the late Jaki Byard and Walter Bishop, Jr. It’s possible to trace still other significant influences on Joseph’s musicianship by following the path of his lengthy tours on Caribbean cruise ships and Broadway road productions, as well as the years he spent mastering Latin piano styles at New York’s Boy’s Harbor, a legendary hotbed of Latin music activity. But knowing all this still won’t prepare you for the impact Joseph’s music may have on you when you hear it. Elements of all these influences come in and out of his compositions, but it’s Joseph’s ingenuity and creativity – okay, his chops, too – that make each tune a self-contained world of clever orchestration, beguiling melody, and burning grooves, unlike any you’ve heard before. The lines between tradition and innovation are blurred in Joseph’s world, though he hasn’t penned a tune yet that wasn’t true to the integrity of the styles embodied in it. Live or on disc, Joseph’s music is fresh and engaging. In fact, Joseph’s 3 CDs are the fruit of his own production efforts, from top to bottom. Anchored by his long-time favorite rhythm section of Leo Traversa on bass and Vince Cherico on drums, each disc was recorded only after months of live shows and rehearsals. This allowed the band to fine-tune their ears to each other’s strengths, and to create an ensemble sound that never flagged or stumbled. As a result, Joseph’s recordings have a live feel and energy, but with studio precision. For his second self-produced album, Island Garden, Joseph expanded his palette to include a host of guest musicians on winds and percussion. His arranging talents grew to accommodate the increased resources, applying them not just for color, but to play integral compositional roles. His own playing is over the top, from blazing montunos to mad bebop solos.